Designed and produced in the UK by highly skilled and experienced engineers. We manufacture all products in-house, using our state-of-the-art CNC machine shop. Our dedicated fabricators and engineers maintain a huge amount of knowledge within the field, along with their first class expertise, to provide you with an unbeatable product range for your vehicle. Are there exclusions to Free Shipping on the UK Mainland ? Do You Sell On Alibaba? What is a Dump Valve and is it Suitable for my Car? Why Can't I Buy the 007p Valve Anymore? What Warranty Do Valves Come With? Can I Buy Outside of the UK? I'm Not Sure Which Product is Right for my Car? There's Something Wrong with the Item I've Received. Why Can't I Search by Car Registration? Intake for the Ford Fiesta ST180 excellent product easy to install sounds awesome would definitely recommend getting one! Forge Motorsport Valve Service Kit I needed a new spring for my v splitter. 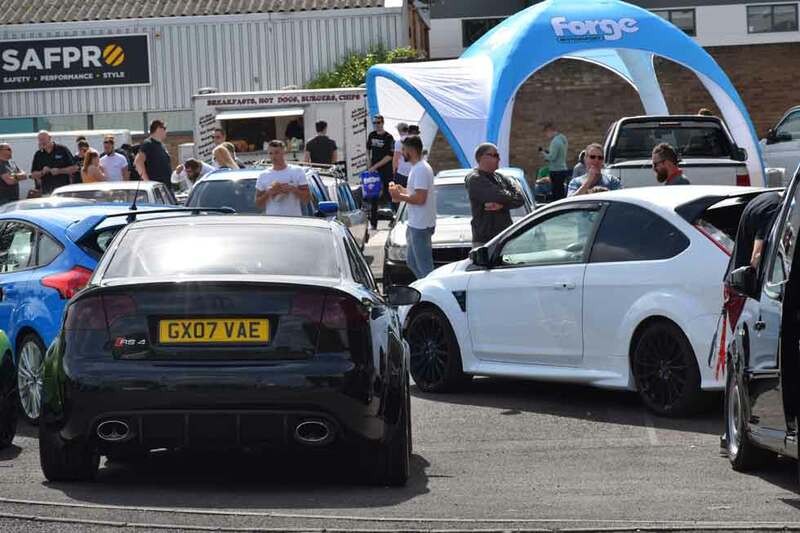 Forge Motorsport Silicone Ancillary Hose Kit for the Renault Megane 225/230 Very pleased with the product! Also the communication with the seller was very effective and the item has been dispatched straight away. Secondary Air System Blanking Plate for Audi, VW, SEAT, and Skoda Excellent product, excellent service! Replacement Filter for FMINDDS3 & FMINDK15 Fitted to my DS3 induction along with DV kit. Good quality and the car sounds much better now. Uprated Intercooler For Golf Mk7, Audi TT MK3 and Audi S3 8V Chassis Simply high quality product. Ambient temp. Around 10degree. During long acceleration temperature falling. Valve Spring Tuning Kit Good quality strong spring kit. Great value and well packaged item. Uprated Intercooler for the Audi RS3 I am very impressed.Comming soon we tested the intercooler with new big turbo setup. Boost Hose Kit for the VW T5 1.9TDI 2003-2010 Exceptional Quality and delivered very fast. Great product ans service! Carbon Fibre Intake Kit for Volkswagen, Audi, Seat, Skoda 2.0 TSI EA888 GEN 3 Very Nice product, require a little adjustment (Dremel carbide is your friend) for the facelift S3 2018, but sounds good and looks great ! Blow Off Valve and Kit for Audi, VW, SEAT, and Skoda 1.2 TSI Easy installation with straight-forward instructions! Uprated Intercooler For Golf Mk7, Audi TT MK3 and Audi S3 8V Chassis One of the best Intercoolers. Golf mk7 gti with IS38 turbo. Turbo Actuator for VW Golf Mk6 2.0 Litre TSi Engines with IHI Turbo 6 years ago we bought actuator. And its still working. Now we bought New actuator because it the most reliable actuator! Replacement Brake Vacuum Hose for Audi TT, S3, and SEAT Leon Cupra Perfect replacement for Audi TT brake vacuum inlet hose part number 06a133784H recommend buying the fitting kit jubilees as well! Induction Hose for VW Mk7 Golf 2 Litre Turbo We bought 2 hoses. But we have some installing problems. Inside dia. A so large! Outside Temp 22 degrees IAT 32-34 degrees. Forge Motorsport Valve Service Kit Ordered and arrived next day!! Fitted into my 007p within 10 mins :) Very happy! Boost Hose Kit for the VW T5 1.9TDI 2003-2010 Well made product . Very pleased. Query on order corrected immediately and always quick to respond to queries. Silicone Inlet Hose for BMW Mini R60 Cooper S Fitted perfectly and looks superb now. Engine performance is increased than OE inlet. Silicone Boost Hoses for Audi S3, TT, and SEAT Leon Cupra R1.8T Fantastic quality. Perfect fit & free delivery. Big Gear Knob for Audi, VW, SEAT, and Skoda Very well made of solid metal, feels good in the hand. Easy to fit with Allen key screws. Very pleased. 1.2, 1.4 150 & 138 BHP High Flow Carbon Intake Just perfect. I've now this amazing engine sound. A bit tricky to remove the stock plastic air box due to a screw behind the turbo. Silicone Intake Hose for the Mini Cooper S 2007 - 2012 (N14 engine) Great quality and a perfect fit, couldn’t ask for anything more! Uprated Alloy Intercooler for BMW Mini Cooper S Amazing value you for money! Build quality is exceptional. Cant wait for the remap! Blow Off Adaptor for N14 Engine for Mini, Peugeot, Citroen DS3 Fitted to my N14 JCW Recirculation Valve. Brilliant price for a brilliant noise! 45 mins install time and only Allen Keys needed. Turbo Recirculation Valve Very good quality. Packaged very well. Quick delivery. Very happy with the products. Blow Off Adaptor for Audi, VW, SEAT, and Skoda Ordered this for my audi ttfsi. Product of good quality and good delivery communication. Blow Off Adaptor for Audi, VW, SEAT, and Skoda Just installed in my 2.0 beetle and turbo whistle is just amazing! Very easy to install and worth every penny. Saab 900 Adjustable Wastegate Actuator excellent fast ship and customer service is very good i reccomend !!!! Valve Spring Tuning Kit Excellent product for tuning the bov and fast service getting these shipped out. Forge Motorsport Intake for the Ford Fiesta 1.0 Ecoboost Sounds awesome easy to fit great speed of delivery service . Turbo Recirculation Valve for Rover MG ZT, 620, 220 and Saab Good item, fits perfectly, now I've no longer got a boost leak! Engine Oil Cooler for the Audi RS4 4.2 (B7 2006-2008) Good quality, fitting takes about two hours with number removal and reinstall. Turbo Recirculation Valve with Adjustable Vacuum Port Nice upgrade for our cusomer car. A good quiet valve for high horsepower solutions. Blow Off Valve and Kit for Audi, VW, SEAT, and Skoda Nice replacement for our upgraded customer car. Vinyl Forge Logo Stickers (x3) Bought 3 got 10 can’t complain! Boost Controller (Ball and Spring) Responsive and good boost controller. Turbo Recirculation Valve Got one for christmas with intake pressure comp valve, fitted this two weeks ago, and immediately noticed better boost. Vinyl Forge Logo Stickers (x3) High quality vinyl stickers! Great vinyl! Forge Motorsport Lanyard Great lanyard! Sadly lost mine at B&Q the other day, even walked around for a half hour looking for it haha! Forge Motorsport Valve Service Kit Très bon produit, facile à installer et très efficace. Audi TT, S3, and SEAT Leon Cupra 1.8T Upper Silicone Boost Hoses Quality Silicon Hoses, easy to order and quick delivery. 6mm Silicone Vacuum Tubing Very good hoses, I used it for years for depression/pression circuit and no alteration of the product in time. Stainless Steel Hose Clamp 70-90mm Really good clamps, reliable ! Secondary Air System Blanking Plate for Audi, VW, SEAT, and Skoda Perfect to shut the secondary air system on 1.8 20v turbo motors ! Induction Kit for the 1.2 Tsi 2015 Onwards Great engine sound! And easy to install! Limited Edition FMS Leather Key Chain Very good quality leather and nice to be a limited edition as well. Fast delivery. What’s not to like!?? Blow Off Adaptor for Audi, VW, SEAT, and Skoda fitted this to my A3 2.0tfsi, sounds amazing and easy to fit, extremely happy. Intake Pressure Compensation Valve Nice add for a dv008, it seems to reduce the response time for a long turbo circuit. Dump valve for the 1.2 and 1.4 TSI engine 2015-on Brilliant bit of kit! Perfect fit, sounds awesome! 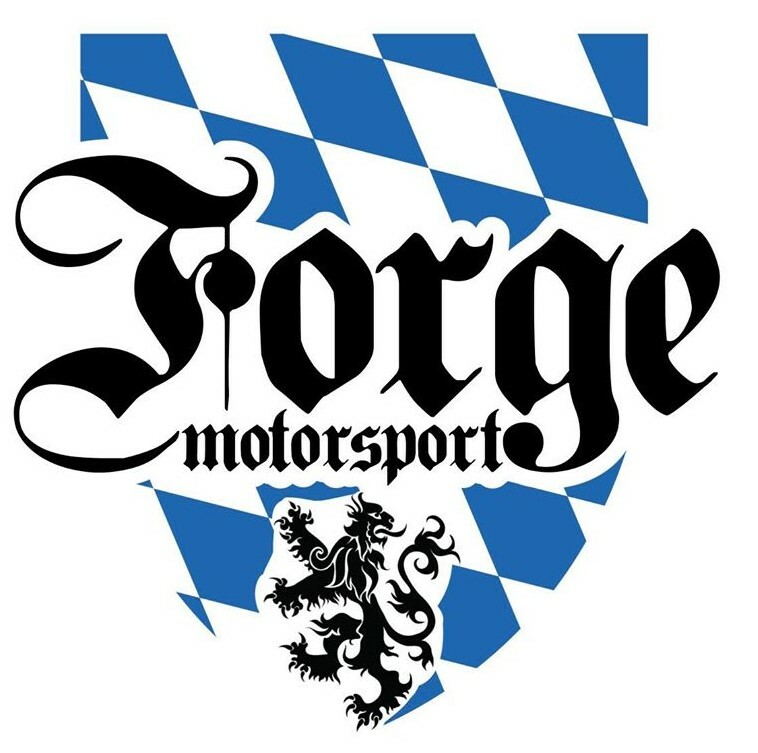 Forge Motorsport Valve Service Kit Excellent service kit with new design piston holds boost perfectly. Audi, VW, SEAT, and Skoda MAP Sensor Mounting Tube Excellent fits and works perfectly with both size map sensors and no boost leaks. T2 Actuator Single Spring - FMAS049 Fantastic product. My golf 1.8t now makes 1.5 bar as requested by the ecu. Nice one. Forge. 049 Diaphragm Actuator Service Kit Quality service kit. Silicone Cam Cover Breather Hose for Audi and SEAT 1.8T Great item and fits perfect, postage was super quick too!! Turbo Intake Breather Hose for Audi and SEAT 225 210 Engines Great item and fits perfect, postage was super quick too!! 11mm Audi, VW, SEAT, and Skoda Alloy Wheel Spacers Amazingly quick delivery and as usual a top quality product. Thanks guys. Blow Off Valve and Kit for Fiat 500 Abarth T-Jet I ordered my new dump valve and true to form it arrived the next day. I've never had an issue waiting for anything I purchase. Blow Off Valve Adaptor for Mercedes Excellent !! Work very good! No problems! Good sound on A250 sport 2013. Good job Forge! Atmospheric Dump Valve for Ford Fiesta ST 180 Mk7 I updated to this from a previous version and the difference is astonishing. Sounds wonderful and the build quality is excellent. 51-38mm Straight Reducer Silicone Hose Best product! I suggest to write on it the "forge" brand! Forge Motorsport Valve Service Kit Fantastic service, arrived next day, fitted and then on track the day after !. Excellent work. Audi, VW, SEAT, and Skoda MAP Sensor Mounting Tube perfect item,fitted my application perfectly and came with everything necessary to fit. very nice quality and excellent welding. Silicone Intake Hose for Fiat 500 Abarth T-Jet Far superior than oem standard plastic. Helps airflow and keeps temperatures down. Easy install too. Secondary Air System Blanking Plate for Audi, VW, SEAT, and Skoda Really smart piece of kit, the o ring fits perfectly. Blow Off Valve and Kit for Audi, VW, SEAT, and Skoda Easy to install, sounds great instructions easy to follow. Would highly recommend. Hose Clamp Set for FM225CCH It adds the finishing touch to your installation. Peace of mind in buying a pack you know will fit. Audi, VW, SEAT, and Skoda MAP Sensor Mounting Tube Great quality, good price and fast well communicated delivery. Can't ask for more! Alloy Header Tank for Mini Cooper S Beautifully crafted and a high quality product. Not much more you can ask for! Blow Off Valve for Nissan Juke 1.6 Turbo Great customer service. The product sounds amazing on my juke nismo rs, great value for money. Would definitely recommend this product. Inlet Hose for Ford Fiesta ST180 Great quality item, looks great when fitted and the service was very efficient will definitely will be buy from here again. Blanking Cap For FMDVSPLTR and FMBSPLTR Allows your Forge Splitter (FMDVSPLTR) to run in recirculation mode. Nissan Sunny GTi-R and 200SX (S14) Piston Ram Closed Loop Dump Valve Lovely build quality. A lovely lump of aluminium. Nice piece of engineering. Forge Motorsport Lanyard Quality product from a quality company, ordered one while back, but mate liked it so gave it away and I bought myself another. Forge Motorsport Valve Service Kit Ordered a service kit for my Dmvsplitter, arrived next day brilliant service and getting the right parts. High Flow Valve for Audi RS3 8V Conforme à mes attentes,de qualité OEM ,mais obligé de démonter la pipe d'admission pour la vis n°4 , le bruit est magique . Venturi Alloy Induction Trumpets (Fits K&N And Ram Air) High quality product. Perfect for big filter. Silicone Coolant Hoses for R53 Model Mini Cooper S Excellent product with excellent advice. An Intercooler Resonator Delete Hose for Mini Awesome hose and super fast delivery... thank you. Dump valve for the 1.2 and 1.4 TSI engine 2015-on Very good service arrived fast to Belgium fitted the same day on my 2016 Seat Leon fr 1.4 easy to install sounds very good thx forge! High Flow Valve for Audi RS3 8V From Japan, I have been driving 8V RS3 from last April 29th and now 11500km. Blow Off Adaptor for Audi, VW, SEAT, and Skoda Had this on amk5 Gti a few years back. Easy way to get some fun noise out your wagon, 20 mins to fit on a ramp. DV to Intake Return Hose for Audi S3, TTS, SEAT Leon, and VW Golf Really tidys the engine area up well. I had to replace the original due to a chafe, so this was by far a better option than standard. Silicone Carbon Canister Hose Kit for MK5 VW Golf Dont serve a huge purpose but for the price, a great way to tidy the engine bay up! Great product! Induction Kit for the H Type Astra VXR Good price, easy to fit. Sounds good. Secondary Air System Blanking Plate for Audi, VW, SEAT, and Skoda Great product. Thank you. Turbo Recirculation Valve Excellent first class service from Forge, delivered next day, packaged well can't complain. Audi VAG K04 Transverse 1.8T Adjustable Actuator I haven't fitted the actuator yet but would be surprised if it didn't operate perfectly. Turbo Actuator for the Astra SRi/GSi/VXR Great fast delivery. Haven't fitted item yet but looks amazing quality, would highly recommend! Vauxhall Astra, Corsa, Zafira and Bentley Recirculation Valve Great fast delivery. Haven't fitted item yet but looks amazing quality, would highly recommend! Inlet Hose for Ford Fiesta ST180 Good quality item, looks great under the bonnet. Twintake Induction Kit for Golf Mk5 Gti (Air filter originally incorporated in engine cover) A bit on the pricey side but we'll worth the money. Relatively easy install and looks the part! The sound is addictive! Blow Off Valve and Kit for the Audi A1 1.4 Turbo Perfect product with superior Quality! 100% satisfyed, Valve works great and much better than OEM part. Would buy it again! Blow Off Valve and Kit for Audi, VW, SEAT, and Skoda 1.2 TSI Great product. Good quality part. Easy step-by-step install. Forge Motorsport Valve Service Kit Great service from a friendly team, bought a service kit for my forge dump valve. Quick delivery to. Carbon Fibre Intake Kit for Volkswagen, Audi, Seat, Skoda 2.0 TSI EA888 GEN 3 Fantastic product great sound, easy to fit and only took six days to Australia from UK. Much better response at high revs. 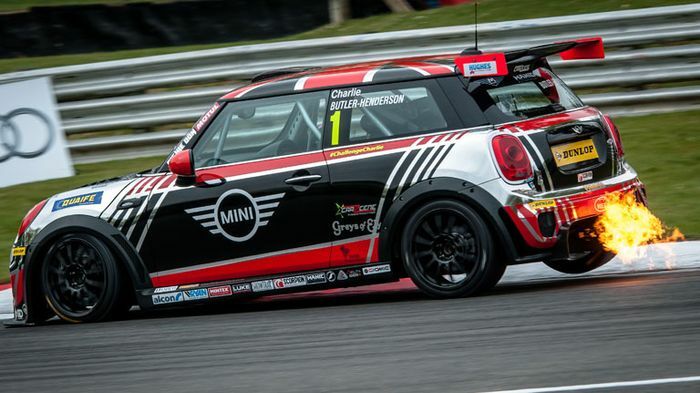 Mini F56 JCW Intercooler Great product! Adjustable Actuator for Audi, VW, SEAT, and Skoda 1.4 TSI Engines Great product! Uprated Small Spring (Single) Great service, top quality product & fast delivery. DV to Intake Return Hose for Audi S3, TTS, SEAT Leon, and VW Golf Really good pipe, looks very nice in my engine bay. 11mm Audi, VW, SEAT, and Skoda Alloy Wheel Spacers Excelent service, very fast delivery. The product fits perfect. Thankyou, would highly recommend to anyone! Turbo Actuator for the Astra SRi/GSi/VXR Really pleased with this. Looks great and holds the boost better. Valve Spring Tuning Kit Great product allows to fine fine tune your valve.. The Splitter, a Recirculation and Blow Off Valve Easy to fit, make sure you have some Jubilee clips on hand. Makes my Seat Leon 1.8t sound amazing!!!! Induction kit for the 3.2 Audi A3 Prompt handling and international shipping in less than a week for a very nice product that I can't wait to fit to my car. Big up FM! Blow Off Valve and Kit for Audi and VW 1.8 and 2.0 TSI Brilliant bit of kit, supplied with easy to read instructions making it fairly easy to fit. Uprated Small Spring (Single) Great service and fast delivery, was cheaper to buy directly from Forge than buying it elsewhere. Silicone Breather Hoses for the 225HP 1.8T Audi and SEAT Livraison très rapide, très bon produit, c'est parfait ! Twintake Induction Kit for VW Golf Mk5 Edition 30 (Air Filter Originally Incorporated in Engine Cover) The kit looks the part, sounds well and gives a noticeable performance boost. Thanks, Forge. Mike Brocklehurst. Silicone Turbo Hoses for Mini Cooper S 2007 on N14 engine Great service speedy delivery! Quality items! Thank you! Turbo Recirculation Valve I'm always happy to receive Forge purchases as the quality is excellent for the cost of their products. Uprated Dump Valve Spring (Single) Easy to understand guide to selection, quick delivery and easy to fit. Boost is now holding correctly at high RPM's. Silicone Boost Hoses for Audi S3, TT, and SEAT Leon Cupra R1.8T Great service free postage and very happy with my hoses ! Induction Hose for VW Mk7 Golf 2 Litre Turbo The acceleration when starting, became good. I think a very good product. Blow Off Valve and Kit for Audi, VW, SEAT, and Skoda Easy to install and quality product. Plenty of hose and spare clips with very fast delivery. Turbo Recirculation Valve Great customer service and great communication and very fast delivery. Silicone Intake Hose for Audi, VW, SEAT, and Skoda 1.8T Awesome item. Not difficult to fit. Fast delivery. Alloy Radiator for Renault Megane 225 or 230 hp Again superb product quality(Made in UK) and excellent service from communication to delivery. Here is a norm how webshop should work! 11mm Audi, VW, SEAT, and Skoda Alloy Wheel Spacers Sorry forgot to click 5 out of 5 stars for me. 11mm Audi, VW, SEAT, and Skoda Alloy Wheel Spacers Great service as usual, product fitted like a glove and adds that wee bit of difference to my car. Turbo Recirculation Valve Speaking of service, from order to delivery, all very fast and with amazing quality care! 11mm Audi, VW, SEAT, and Skoda Alloy Wheel Spacers Great delivery time, adds a little extra to the width, looks great. Silicone Boost Hoses for VW T5 Van 130PS/174PS Product fine but whole experience badly let down by their couriers DHL and no response from company about this. Blow Off Adaptor for N14 Engine for Mini, Peugeot, Citroen DS3 Great quality fitted to a recirculation valve,love the sound! Uprated Dump Valve Spring (Single) Excellent support from the team, try to understand the situation before providing you with any item. 63mm Coupler Silicone Hose Fast delivery and good quality, chose black for the stealth look. 356mm 6 pot Big Brake Kit for Volkswagen T5/T6 Brilliant, absolutely top quality product and service. Adjustable Actuator for Ford Focus RS and STi Fit's just perfectly on the Focus RS with std. turbo! Quality from the actuator is superb! With the right setting you have more boost. Mini Cooper S R53 Silicone Intake Hose Perfect fit for the mini!, didn't need trimming like some of the cheaper brands!, looks amazing compared to the standard pipe. Secondary Air System Blanking Plate for Audi, VW, SEAT, and Skoda awesome company, awesome products! Replacement Recirculation Valve and Kit for Mini Cooper S and Peugeot Turbo Great product,easy installation! Silicone Servo Hose for Audi TT, S3, and SEAT Cupra R 1.8T Just the ticket. Perfect fit for my mk1 TT. Delivered next day, very pleased. Hardpipe for the Peugeot RCZ THP200 Great pice of kit,simple to fit.From ordering finish it was a great.will be ordering again soon. Silicone Intake Hose for the Mini Cooper S 2007 - 2012 (N14 engine) Easy to install and look very nice together with induction kit. Induction Kit for the SEAT Ibiza 1.2 TSi AN absolutely fantastic piece of engineering, excellent fitting instructions and a superb fit. VW, Audi, and SEAT Turbo Muffler Delete Pipe (EA888 Engine) Just fitted this unit at the weekend. Very easy to fit,30 minutes, removing the airbox makes fitting easier. Blow Off Valve for Rover MG ZT,620 and 220 Models Can't believe how well made this is for the price! Oil Catch Tank Kit for the DS3 1.6 Turbo and Peugeot 207 1.6 Turbo Great product! Made quickly and looks great! Cheers all. Front Brake Kit - 356mm (Wheels 18" or Larger) for the Audi TT Mk1 Platform 5x100 Fantastic big brake kit, very impressed with the quality of the components and everything fitted as it should.